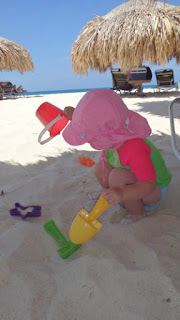 This was our kid's first long trip as mentioned in the first post of the series (Aruba - First Family Trip South - Summer Continued). Overall, the trip was a success. So much so that we just booked our next one that will be in the start of the new year. In packing for the trip, her luggage space outweighed both of ours. Besides clothes and shoes, she also was bringing toys, food, drinks, carriage, and multitude of gadgets to keep her entertained. Not only did this little pack contain all of the goodies that would be easily accessible to her during the flight, it came in very handy at the airport as well. It also helped that she liked wearing it. Quite a difference from the animal version we originally got. This one had very stiff straps and they were rubbing and hurting her. Brica By-my-side Safety Harness Backpack has soft padded straps, comfy and breathable design and is light. Easily replaceable tops for bottles. Genius. Instead of bringing with us multiple baby bottles from which our kiddo still drinks milk, that take up a lot of space within the bags, we brought these small packable tops. They can fit on just about any plastic bottle that we might buy anyhow to drink water. And we would be able to recycle it instead of tossing out by pouring milk in there and for kid to able to sip at their own pace from it. After seeing reviews on multiple kid travel blogs and reading through reviews on amazon.com, we got her the Kidz Gear Wired Headphones . These are very light, and comfortable on the head. As you can see I tried them on too. They are easily adjustable to quite a few head sizes. They also come with a chord that can limit the maximum value to safeguard toddlers ears. They had great sound. 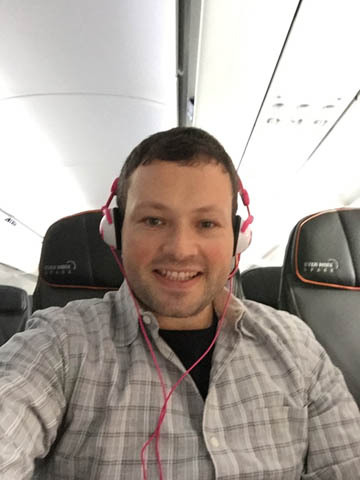 Much better than the cheap earbuds or the ones offered (sold) on the plane. Stephen Joseph Owl Stainless Steel Water Bottle - This water bottle is made for toddler. Gives them independence to drink by themselves. They can imitate adults when drinking from a bottle. And it has a top that closes completely to prevent spills in addition to the cap that keeps it clean. Kiddo was swimming in these almost the entire time. They kept her protected from the direct sunlight since they have 100% UV protection. The shirts also kept her warm on the beach since they dried quickly. 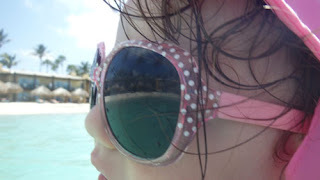 It also meant putting on less sunscreen as not as much of her skin was exposed while we swam or played on the beach. While we wore ours only in the water to be able to walk on the ocean floor covered with rocks, she wore hers on the beach to keep her feet safe from various shells, rocks, and other things in the sand. Before leaving on vacation, we preloaded our phone with several gigabytes of cartoons and educational games and videos. It was a life and sanity saver during eating out and other times of toddler hysterics. During the stay we did not have WiFi and did not take the phone off of airplane mode as to not incur any roaming charges. We still were able to use it for entertainment as well as a notebook. This little accessory was irreplaceable while using the phone at meals and we were very glad we took it with us. The phone stayed off the table in the right position for viewing and accessing controls. The holder folds up flat and is very light to just throw in our bag with all the rest of the stuff. Two buckets filled with sand toys were the unexpected, yet very helpful, babysitter on the beach. Once out of the water, the kiddo would play with them for at least half hour if not more. This gave us some time to arrange beach accessories, sit back, relax and sometimes even read our Kindles. The flight was the first one for our kid. It went well for the most part at the airport and during flight. To keep her occupied and get some of the energy out we got her a new small ball. She played with it while waiting to board. The ball is the non-rolling kind with bumps that prevent it from rolling away but at the same time has plenty of bounce. And it also lights up, making easy to find if it does end up under a bag or seat. While getting ready and before packing, I looked through some of my favorite kid travel blogs to get some ideas and advice. 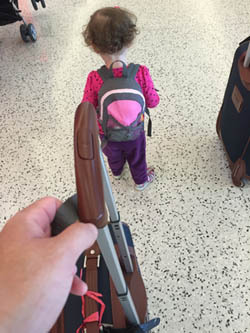 Based on those suggestions we brought a lot of entertainment with us on the plane in her little backpack. There was a Fisher-Price Travel Doodler, small travel books, kids camera that shows different image upon click, stuffed animal, and washable crayons. And with all of that we almost exhausted all in first half hour. Though after see settled in a bit, it was better and the Jetblue in-flight entertainment helped a bit. We had the Mickey Mouse cartoon on all monitors. On the plane we were in the first row (thanks to planing and booking by gowithirene.com). While we were first out on arrival, what we did not expect was that we had to wait for the stroller to catch up to us. Though by the time we were at the baggage carousel our bags were there as well. 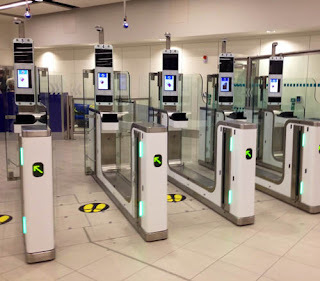 In Aruba at customs, they had new machines for folks with the new e-passports. One person steps through at a time. Places there passport on scanner, looks up for camera and once all set, goes through. The line moved very quickly with this new technology. 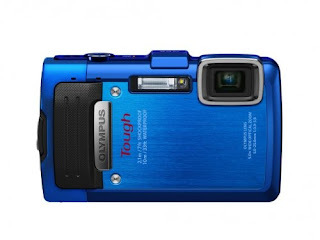 - Olympus Stylus Tough - our blue all around camera. Since this camera is waterproof, shockproof, crushproof, and dustproof, it goes with us into the water, to dine, and on walks and evening events. I just put it in my pocket and good to go. In the water, we also attach the orange camera float strap that keeps the camera dangling on our wrists and floating above water. - DSLR - While Olympus camera is great and versatile, it does not take as good of a shots as DSLR. Our Canon Rebel XSi comes with us on every vacation to capture some of the more detailed, high definition, and artistic photos, some of which you saw on this site in previous posts. on the other hand stood out for its lightness, small size, and superior video quality. Moreover, with the new cases it is also waterproof, has high-definition video and photography and very easy to operate. It became a no brainer for us to get GoPro for our trips. - Phone - a necessity these days when traveling with child. Before leaving on vacation, we preloaded one of the iPhones with several gigabytes of kids cartoons and education videos. It was a life and sanity saver during the meal outings and other times of toddler hysterics. During the stay we did not have wifi and did not take the phone off of airplane mode as to not incur any roaming charges. Though we still were able to use for entertainment as well as notebook and memos. - Phone Holder - to use the phone during meal times this little accessory was irreplaceable and we were very great we took one. The phone stayed off the table in right position for viewing and accessing controls. It folded up flat and was very light to just throw in our daypack with all the rest of the stuff. 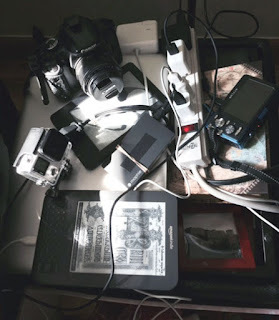 - Mophie Powerstation - while we did charge our phone in the room overnight, it was definitely a piece of mind to have this juice pack with us as a backup as well as to give us a bit more up time at the airport. - Kindle - we took both of our Kindles on this trip, though I was not too optimistic if we get to use them. As it turns out, I was not completely right. We had some time to read on the beach, since as it turns out the sand and sand toys were a great babysitter for our daughter for half-hour to almost an hour. 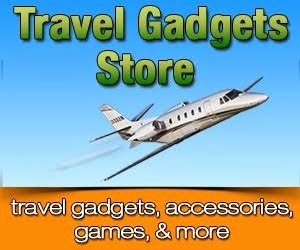 - Sports Watch - in most resorts there are activities and or shows that are at certain time. And meals are also at designated time. So a watch comes very handy. While at home, these days I mostly use the phone to tell time, that is not as easy convenient or safe to do while traveling. 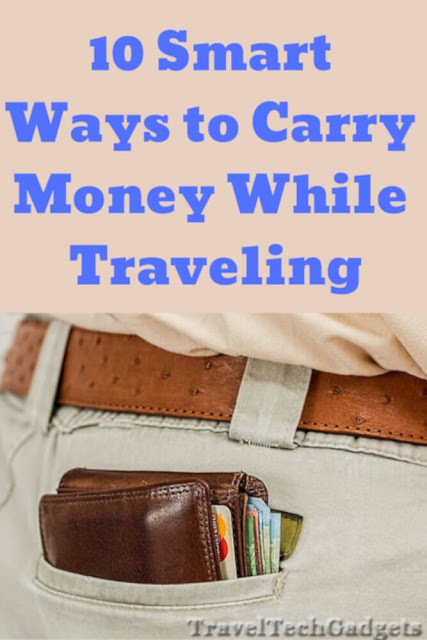 It is especially helpful when traveling with toddlers that need to be on their schedule or else (parents know what mean). The Casio watch I got is also great since it shows day of week which is helpful to know. And it is water proof up to certain depth. So could go swimming in the ocean or pool and be able to tell how long we been there and if it is time to reapply sunscreen or go eat. - Water Shoes. A necessity these days in Aruba as the entrance and ocean floor can be rough and littered with rocks. We got some right before we left after we found recommendations for these on Tripadvisor (www.tripadvisor.com/Hotel_Review-g147248-d150690-Reviews-Tamarijn_Aruba_All_Inclusive-Oranjestad_Aruba.html). I had the Starbay Water Shoes shoes. These were easy to put on and take off which turns out to be a very good feature for water shoes. - Travelon perfume holder - I wrote about it before and I take most of it back. I can still see how it could be useful when traveling, however it does not work. I loaded it up for this trip and when we got there there was nothing left in the container. All leaked out. I checked that it was closed tightly and it was. Thankfully, it was in its own ziplock that was inside another Ziploc, so nothing around it ended up all of the contents.